My wife has an elderly couple in her family who are nearing their 90s. The couple seems to have been together their entire lives and on the surface, you’d never dream they’d ever had a single quarrel between them in their 60 or so years of marriage. They live in rural Bartow County, GA in a small country home filled with neat heirlooms and vestiges reminiscent of life a few generations back. This car is the first car they ever owned. They saved it all these years and now it sits, a testament of their long lives together. 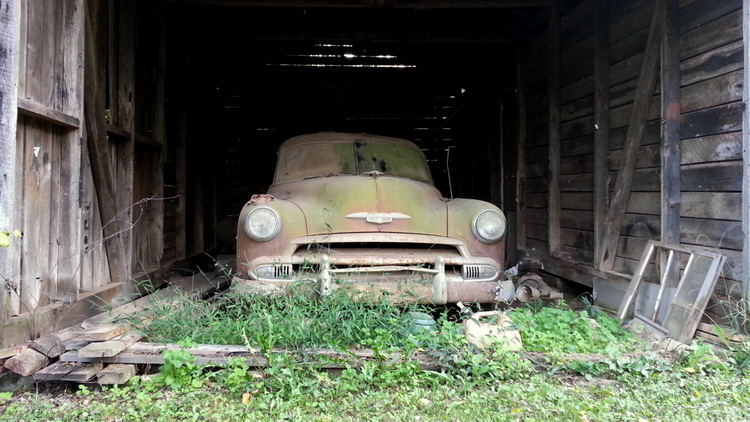 To the casual passerby, it appears just a neat old car sitting in a rickety old barn, but in reality it is sentimentality at its finest. Picture was shot with my handy Galaxy S3 smartphone.